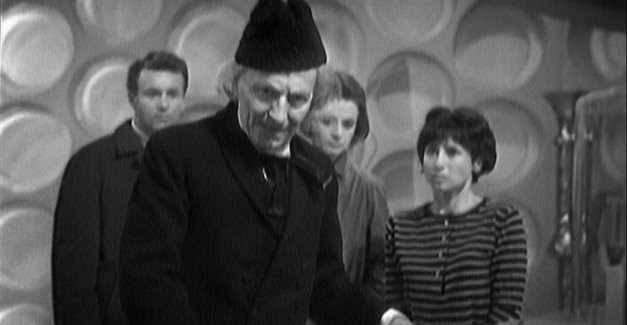 Doctor Who: AN UNEARTHLY CHILD - 52 Years Ago Today... | Warped Factor - Words in the Key of Geek. A story which introduced the watching public to the First incarnation of Gallifrey's favourite son & his police box that wasn't really a police box at all. 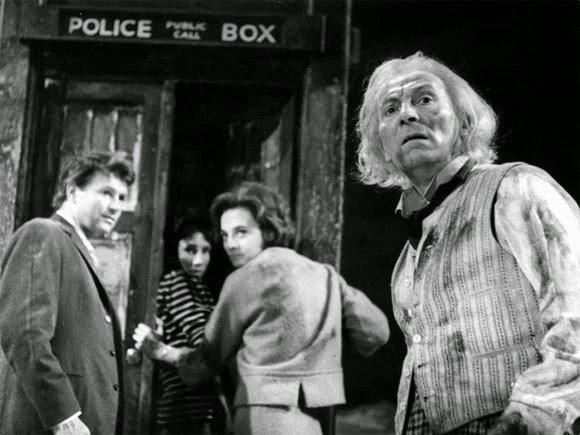 It would quickly become apparent that this was a TARDIS - Time And Relative Dimensions In Space, according to his granddaughter & first travelling companion Susan Foreman. Which basically means, as we all know, that it can go anywhere in time & space! IAN: What a mess. We're not turning over any of this stuff to find her..
IAN: Blast. I've dropped it. BARBARA: Well, use a match. IAN: I haven't got any. Oh, never mind. IAN: Susan? Susan? Susan! Susan. Mister Chesterton and Miss Wright. She can't have got out without us seeing her. BARBARA: Ian, look at this. IAN: It's a police box! What on earth's it doing here? These things are usually on the street. Feel it. Feel it. Do you feel it? BARBARA: It's a faint vibration. IAN: It's not connected to anything, unless it's through the floor. BARBARA: Look, I've had enough. Let's go and find a policeman. IAN: That's not her. Quick. SUSAN [OC]: There you are, Grandfather. IAN: We're looking for a young girl. IAN: One of our pupils, Susan Foreman, came into this yard. DOCTOR: Really? In here? Are you sure? BARBARA: Yes, we saw her from across the street. DOCTOR: (aside) One of their pupils, not the police, then. DOCTOR: Why were you were spying on her? Who are you? IAN: We heard a young girl's voice call out to you. DOCTOR: Your hearing must be very acute. I didn't hear anything. BARBARA: It came from in here. BARBARA: I certainly did not imagine it. DOCTOR: Young man, is it reasonable to suppose that anybody would be inside a cupboard like that, hmm? IAN: Would it therefore be unreasonable to ask you to let us have a look inside? DOCTOR: I wonder why I've never seen that before. Now isn't that strange. Very damp and dirty. BARBARA: Won't you help us? We're two of her teachers from the Coal Hill School. We saw her come in and we haven't seen her leave. Naturally, we're worried. DOCTOR: Have to be cleaned. Hmm? Oh, I'm afraid it's none of my business. I suggest you leave here. IAN: Not until we're satisfied that Susan isn't in there. And frankly, I don't understand your attitude. DOCTOR: Yours leaves a lot to be desired. IAN: Will you open the door? DOCTOR: There's nothing in there. IAN: Then what are you afraid to show us? DOCTOR: Afraid? Oh, go away. IAN: I think we'd better go and fetch a policeman. IAN: And you're coming with us. DOCTOR: Oh, am I? I don't think so, young man. No, I don't think so. BARBARA: We can't force him. IAN: But we can't leave him here. Doesn't it seem obvious to you he's got her locked up in there? Look at it. There's no door handle. There must be a secret lock somewhere. Chesterton casts some doubt on the Doctor's ability to pilot his own ship, though the recorded dawn of humanity isn't actually a bad counter argument! Responsibility for making sounds like 'the cries of strange birds' went to the BBC's Radiophonic Workshop, who came up with what is still probably one of the most recognisable television theme tunes of all, as well as several important sound effects. All under the watchful eye of the grandmother of electronic music- Delia Derbyshire. 'Hang on a second', you're probably thinking. 'Surely a police box won't exactly blend in?'. A quite correct assumption - the TARDIS is supposed to have a chameleon circuit, a handy component which allows it to do just that. The Doctor's, though, is broken - stuck in the form of the police box. 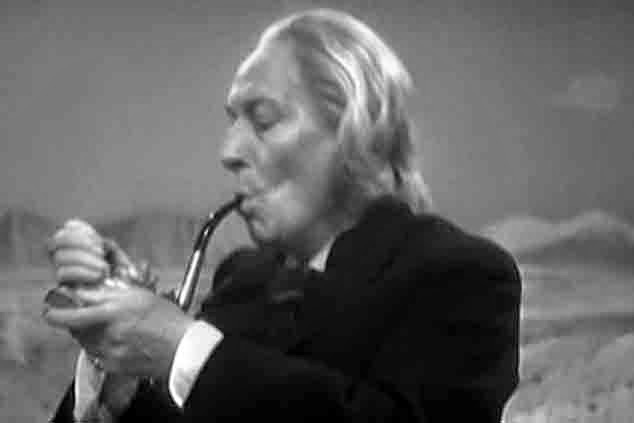 Well, they were commonplace in 1963....and to be fair most of the key elements established here are still firmly in place today, unlike the Doctor's pipe - which he's seen to smoke during his visit to the Stone Age. Once only though, never again would he take a puff! Fire plays an important part in the first adventure for the foursome, and not just whilst the Doctor is lighting his Old Holborn. See, our new heroes have landed slap bang in the middle of the caveman's quest for it (fire, not rolling tobacco), with a leadership contest to be settled by the ability to provide it! Years before Cameron & Corbyn, Kal & Za must prove their mettle in an effort to become leader of this particular tribe. In an age before Question Time, what's a man to do? Attempting to force an elderly gent from the future to reveal the secret of fire before you're supposed to have it is a start. Maybe that will cause 'Orb' to look more favourably upon proceedings - or in other words give them a bit of sun. We all know sacrificing a bloke who acts like a combination of your cranky elderly relative and that history teacher you never liked at school to it will work, right? Nevertheless the old man can make fire, as Kal says. When he's got his matches, that is! But how did all these adventures start? Canadian Sydney Newman, who had been lured to the BBC as Head of Drama in 1962, was the brains behind it all! Donald Baverstock, the Controller of BBC Television, needed a new programme to sit between Grandstand & Juke Box Jury on a Saturday night, and Newman, a science-fiction fan from the off..."
Up to the age of 40, I don't think there was a science-fiction book I hadn't read. I love them because they're a marvellous way--and a safe way, I might add--of saying nasty things about our own society." Recruiting Verity Lambert to produce (she had been a production assistant at ABC during his own time with the channel), he set to work on Doctor Who having taken the bold step at the time of allowing a woman to run the show!!! He was dead set against what he called 'bug-eyed monsters' and initially hated the Daleks, though his tune changed when he later saw how successful they'd become! And indeed you can see Brian Cox (not this one) playing Sydney in Mark Gatiss's An Adventure In Space & Time, a celebration of the institution Newman helped to create. What of the man who was to play the Doctor? 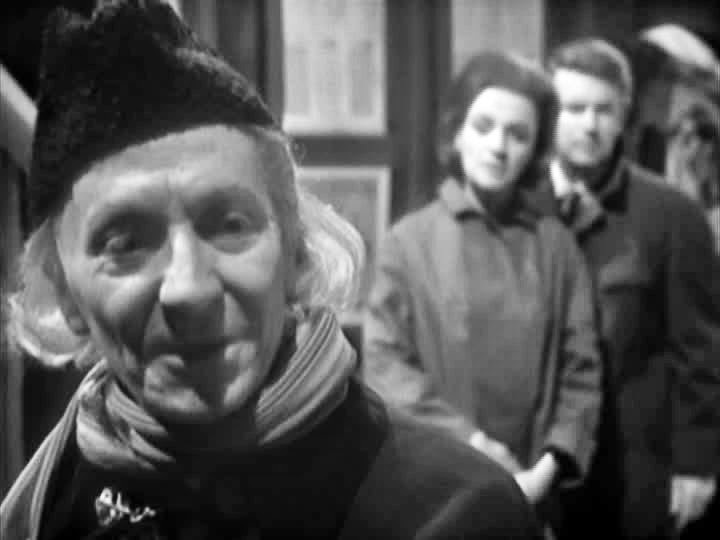 William Hartnell was cast by Lambert after she'd seen him in This Sporting Life as a rugby talent scout known as 'Dad' - he was 55 at the time of his casting as the First Doctor. He'd gladly jumped at the chance to escape playing gruff military types (see Carry On Sergeant below), and would stay in the role until 1966, when ill health (arteriosclerosis) forced him to retire from the show. "There's only one man in England who can take over, and that's Patrick Troughton"
The quick change of face explained away as a Time Lord biological trait by which means the Doctor can in effect repair his own body, a sort of reincarnation, with a new personality to match. And 52 years later, here we are!